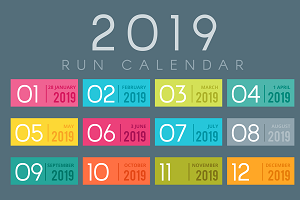 Run In India’s Premier Tiger Reserve And The Setting Of The Jungle Book – March 17, 2019! 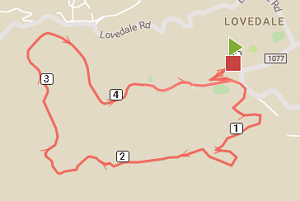 As this is an ecologically sensitive area, the run will be conducted in the buffer zone of the park. Registrations can be also done at Hotel Kipling’s court, Pench between March 11 and March 16. Registration fee is Rs. 200 for residents of Turia, Khawasa, Seoni and nearby areas -registrations have to be done in person, local address proof will have be presented. 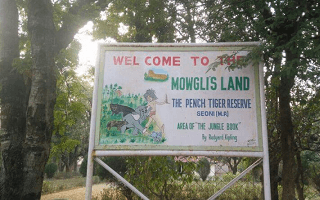 Mowgli's Den, Pench, located less than 2 kms from the start point is our partner hotel. You can book accommodation here when you sign up to run.Terms, inclusions and cancellation policy available here. 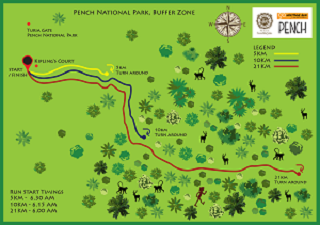 Taking a run vacation at the Pench National Park? Here is how you can get there, where to stay and some recommendations on how to plan a tiger safari. 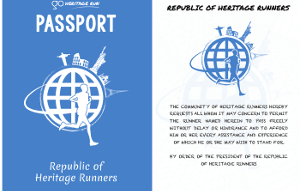 Read on to learn about the 5KM, 10KM and 21KM GHR Pench run routes. As this is an ecologically sensitive area, the run will be conducted in the buffer zone of the Pench National Park. The Pench souvenir run t-shirt is inspired by the characters of The Jungle Book who are illustrated in the Gond style - a form of tribal and folk art practised by the Gond people who are found predominantly in Madhya Pradesh. Pench National Park is spread across two states – Madhya Pradesh and Maharashtra. There are multiple gates into the core zone – Turia Gate and Karmajhiri gate are the popular gates on the Madhya Pradesh side. More famously, the Pench National Park and the Seonee Hills is the setting of Rudyard Kipling’s famous The Jungle Book. 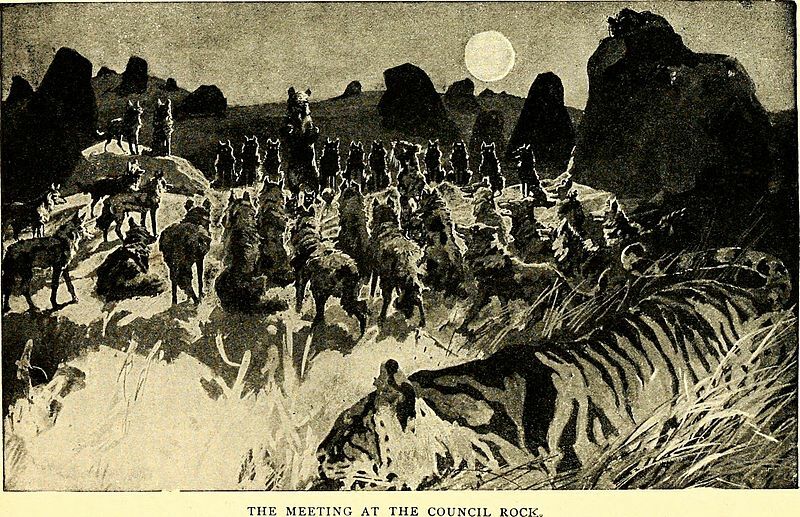 Fun Fact: Rudyard Kipling first wrote about Mowgli, not in The Jungle Book but in a short story titled In The Rukh.